I was playing my DX7 last night and I noticed something heartbreaking for my almost 33 year-old baby: I'll be playing something and all of a sudden the notes sustain (as if I'm holding down the sustain pedal, but I'm not) and then they cut off. Then the DX7 freezes (no sound). The screen is stuck and no buttons function. I can cycle the power and play normally for about 30 seconds and the issue happens again. I've also tried it with the sustain pedal unplugged. Is this the dreaded capacitor issue? The battery voltage is a very normal 2.8v and was last changed in 2016. Last edited by elsongs on Tue Dec 18, 2018 8:53 pm, edited 1 time in total. Could be. Could also be a dry joint on the board, or a joint failure in one of the processor chips. Hard to say really, but fault is symptomatic of a PSU problem. That'd be the first place to check anyway as those caps are at end of life now, because they're the most stressed part of the system. That's an easy fix, compared to tracking down a faulty chip. However the fact that you're asking suggests you haven't opened it up and inspected or measured anything... in which case I'd recommend taking it to a tech. When you first turn it on from cold does it last a while before the first failure ? And then it fails more often when you power cycle from warm ? If so I would initially assume a dry joint as madtheory suggested. Kentronix wrote: When you first turn it on from cold does it last a while before the first failure ? And then it fails more often when you power cycle from warm ? Yes, it's only happened after my DX7 has been on for a while. That's not leakage, that's the epoxy/ glue that holds it in place (or keeps it from vibrating too much if it's an SMPSU). Looks like you'll need to search for a dry joint, and also test joint integrity in the relevant chips using freeze spray. I would still be on the lookout for a dry joint, they can be very hard to spot so on occasion I have previously just melted everything in the PSU area, that is the area that heats up and cools down the most so is more prone to dry joints. 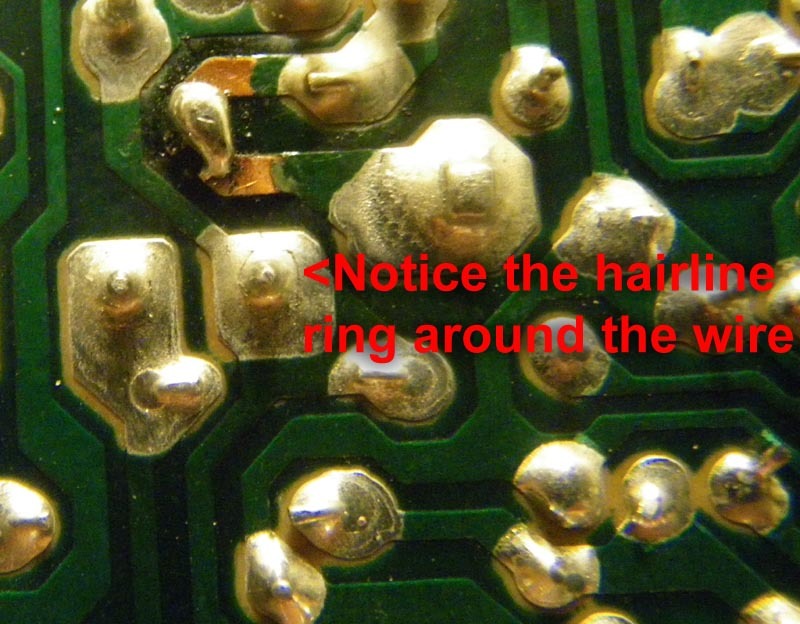 Its better to get a magnifying glass out and inspect every joint though if you can, starting around the PSU. Good point. Before going in with the soldering iron it might be better to measure the PSU output and see if it's fluctuating beyond the normal tolerance (check service manual for that figure). Would also make sense to put a logic probe on the processor to see what signals are there before it shuts down (if indeed it is shutting down). The mk1 PSU does get quite warm. It is of the linear type and won´t hold a dangerous charge once uplugged. A good start would be checking the joints at IC1, the 5V regulator. 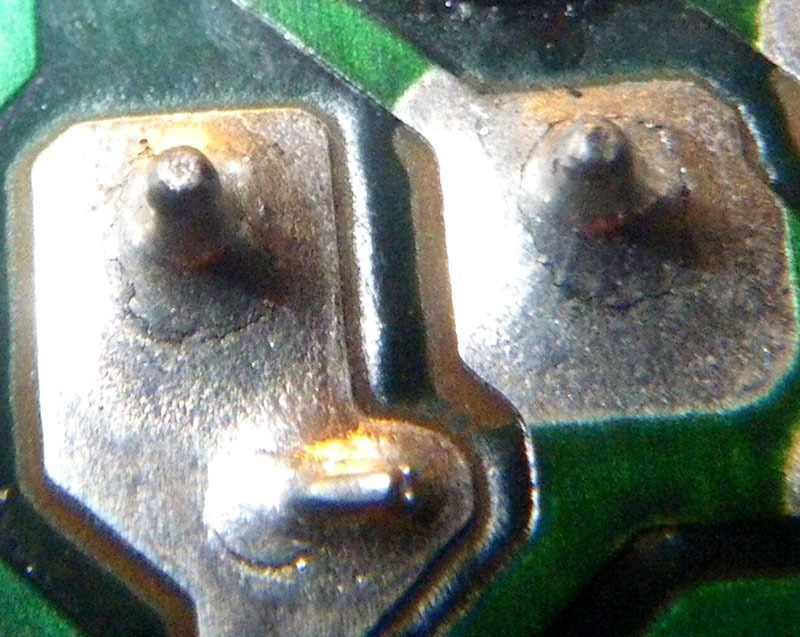 I opened up my DX7 last night and removed the two boards on the left and right of the transformer, and checked the solder points with a magnifying glass. I didn't notice any dry joints, but I re-flowed all the solder points just in case and did notice that one of the capacitor legs on the heat sink board was wiggling loose a bit when I re-headed that point. Then I put everything back and was able to play my DX7 just fine, even leaving it on for a couple hours and no more locking up! WOO-HOO! Looks like my DX7 will be playing just fine in time for its 33rd birthday this year (Christmas Day)! Thanks Kentronix for the dry joint suggestion! Regardless, this is my first synth and has huge sentimental value. I will never sell it. So I need to take good care of my baby. Even though I don't play it a whole lot, I try to keep it in top-top shape at all times! Congrats on the fix! Do you remember which capacitor it was, for future reference? Thanks!